Burung Walit ( Walet Bird ) - Project with Government to help the public to boost their Income. Another opportunity for Tamparuli Citizen to be involve in a business program involving with Government. This project call " Burung Walit " easy to be conducted and will be closely monitor by Government Agency. 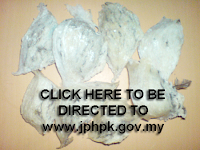 The market for this product ( Walet Bird Nest ) will be provided by the Government. As mentions and live telecast by TV3 last night ( 23/11/2011 ) it really easy to conduct whereby you need a small lot of land, one house with no inhabitant and you can carry on with this project and will be closely monitor by Government Official. This "Walit Bird" program is under Department Of Veterinary Services and Ministry Of Agriculture. You can get this Walit Birds breed at Department Of Veterinary Services. This Department is located at Kepayan, Kota Kinabalu opposite with Kepayan Police Station. For those who interested to be venture in this business but no capital, you can make loan from Agro Bank. Agro Bank will lend you RM50k for starting this business program. In this article I will attach the important information about this business. Just click it and you will be directed to trust able government website. Roughly income is RM8000 per month. I am urging the local citizen of Tamparuli to be involve to this government project. I want to see a local citizen involve with this program. " Where there is a will there will be a way"
P/s: Please Click Here to get more information. 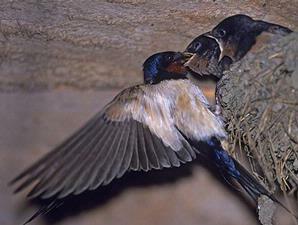 Since day one, nutrition nests swallows or swallows were found to have two high nutritional value that is unique and active stimulation of factors mikrogenik. These two factors would help stimulate the reproduction of cells and cell structure of the body, and is said to be the main source of income skin young, smooth, soft and smooth.In addition to providing beauty to the skin, it also indicates the bird's nest is very nutritious because it contains materials that can provide energy and the internal recovery, particularly launching system blood flow more smoothly. Modern scientific research revealed that it contains high concentrations of minerals, proteins and protein active gelatin, making it the natural health products at once genuine treat for all ages.Taking a bird's nest in the long run is the best resistance to aging, while elements of the active protein in the nest also stimulates growth of cells in the immune system, thereby strengthening the body fight against disease. Bird's nest is also suitable for pregnant women because it provides benefits to mother and baby. It was clear the baby is born will have skin that is very bright and smooth, and the function of the body is stronger than another baby and mother is recovering more quickly after delivery.In most cases the benefits of nest that can be enjoyed through the meal prepared, depending on the taste of their own to add delight to entertain. However, it would cost to every decision. Today, however, recognizes the usefulness and demand is high, especially for beauty, it is available in the form of strokes with cheap and easily shared by all groups.For the first time, Nutox Oxyfusion introducing its collagen-based beauty products swiftlet nests which act as the solution to the needs of women who always want to remain youthful face.Birds nest extract can make the active ingredients contained much easier to absorb into the skin to repair the structure of epidermis, the skin thickens and disguise fine lines and wrinkles in addition to providing long-term elasticity of the skin. # Substance collagen contained in each of the birds nest to launch the blood vessels, increased appetite and improves digestive tract. # Swallow bird's nest to cure coughs and reduce phlegm. It also is good nutrition for the lungs and strengthens the respiratory tract. # Taking birds nest during pregnancy can reduce pain in the back, strengthening the baby's lungs contained. It can also speed up the healing process after childbirth.For women, regular diet to improve metabolism, improve skin and slow the aging process. For the elderly, feeding on a regular basis to strengthen muscle and bones and increase the immunity against the disease. For children, the nest can expand the absorption of nutrients in every food and strengthen the lungs. Voted: An excellent food to other smokers to reduce the effects of nicotine caused cancer and preventing attacks.
" DOWNLOAD WALET BIRDS MP3 HERE "